A joint report by Yesh Din and Emek Shaveh, “Appropriating the Past – Israel’s Archaeological Practices in the West Bank”, analyzes Israel’s archaeological policy in the West Bank and the impact of this policy on the human rights of Palestinians as part of the summation of a project by the two organizations. The West Bank is an area rich in antiquities – a reminder of the long and varied history of the region. While archaeology centers on the past, historical narrative plays a crucial present-day role in the West Bank, which has been under Israeli occupation since 1967. The report shows how the State of Israel is trying to use archaeology to prove the historical, religious and cultural affinity of the Jewish people with the West Bank, as yet another means of justifying its ongoing policy of dispossession, occupation and control in the Occupied Territories. International law requires the occupying power to protect and preserve archaeological sites and findings, yet to a limited extent and only inasmuch as this is needed to rescue endangered antiquities. The work must be carried out in coordination with, and for the benefit of, the protected population in the occupied territory and making long-lasting changes is forbidden. Yet analysis of Israel’s archaeological policy in the West Bank reveals that it interprets these responsibilities in a broad manner, in breach of international law. Since 1967, Israel has endeavored to appropriate the archaeological assets of the West Bank, based on the view that the Jewish heritage of places and antiquities testifies to a bond between the antiquities and the state of Israel, and constitutes a justification for deepening its control over ancient sites. 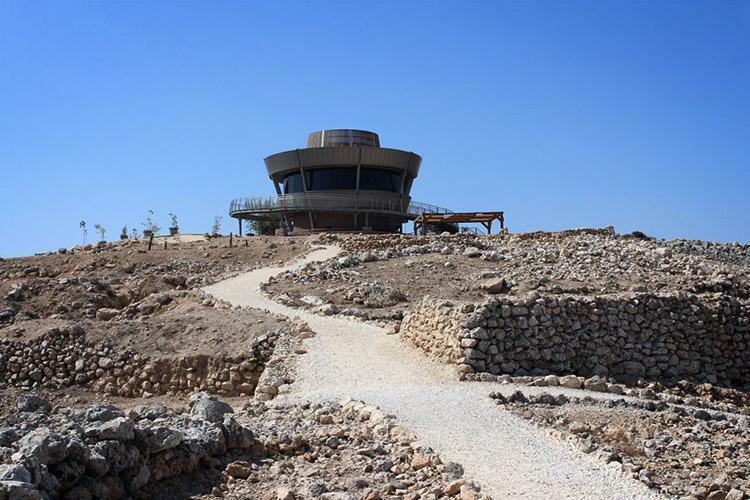 This perception underlies every aspect of Israel’s archaeological practices in the West Bank. Israel’s control enables the physical exclusion of Palestinians from the sites and ancient finds through various means, ultimately weakening their connection to their heritage. It also enables Israel to shape the historical narrative of the sites by highlighting and glorifying their significance for the Jewish people, and downplaying the role of other peoples and cultures who also had a part in the history of the region. Israel is violating its role as a trustee of cultural assets assigned to it for temporary safekeeping. Its policies and actions are antagonistic to the interests of the Palestinians living in the West Bank, violating their cultural and political rights and breaching international law.